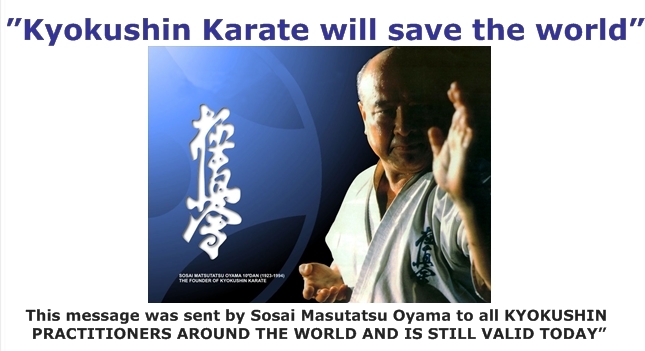 Kyokushin Karate was founded and developed in Japan by Sosai Matsutatsu Oyama. 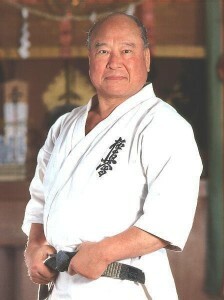 Born in Korea on 27th of July 1923, he studied Kenpo before moving to Japan at the age of 15 in 1938. That year he commenced his training in Shotokan Karate directly under its founder and master Gichin Funakoshi, who Sosai always referred to as his true karate teacher. Within 3 years he had earned his 2nd Dan Black belt. At the age of 23, Mas Oyama met Eiji Yoshikawa, the author of the book ‘Musashi’ which is based on the life and experiences of Japan’s most famous samurai. It is from the book and directly from Eiji himself that Mas Oyama learnt about the samurai ‘Bushido’ code and what it stood for. He had committed himself to becoming the most powerful Karate-ka in Japan and began his legendary 14 months of rigorous mountain training. During this time he would train relentlessly, sometimes up to 14 hours per day. The following year in 1947 Mas Oyama entered and won the first Japanese National Martial Arts Championship. However, he decided that he would endure even more mountain training in solitude, this time for 18 months on Mt Kiyozumi. He was absolutely fanatical about his relentless training 7 days per week and 14 hours per day. His training included breaking river stones with his bare hands, using trees to practice punching techniques and to toughen up his hands. To strengthen his legs for his kicks he would jump over flax plants hundreds of times each day. He would train under cold mountain waterfalls and also spend time each day studying zen and philosophy from the ancient classics of the martial arts. 18 months later he descended from the mountain fully confident within himself, his life and his abilities as a martial artist and the strongest Karate-ka in Japan. In 1950 Mas Oyama started to display his abilities by fighting bulls. In total he fought 52 bulls, 3 he killed instantly and 49 lost at least one horn with a ‘Shuto’ or knife hand strike. But it wasn’t all easy, in 1957 at the age of 34 he was nearly killed in Mexico when a bull gored him and he spent several months recovering from his wounds. In 1952 he travelled to the USA and began demonstrating his karate on national tv. He accepted all challenges from any discipline, resulting in fights with over 270 different people. Most of these challenges were defeated with just one punch, which is how he earned the nickname ‘God Hand’. In 1953 Mas Oyama opened his first dojo, a grass lot in Mejiro, Tokyo. In 1956 his first real dojo was opened behind Rikkyo University, only 500 meters away from the current Honbu dojo. Now as Sosai (founder) he evolved Kyokushin or Oyama’s Karate as it was known back then, by studying the fighting techniques of many other styles and applying and using what worked best along with his own tried, tested and proven techniques. 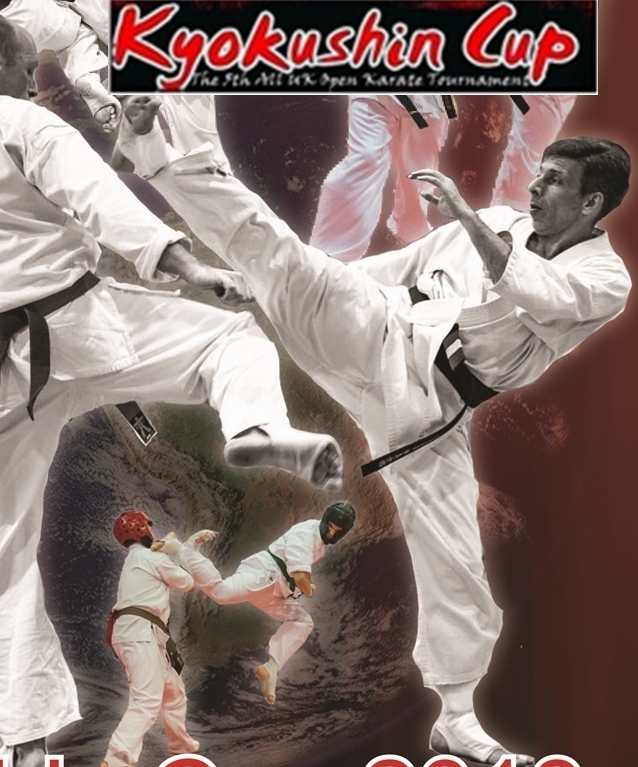 In 1964 the Honbu dojo was officially opened where the name ‘Kyokushin’ meaning ‘The Ultimate Truth’ was adopted. 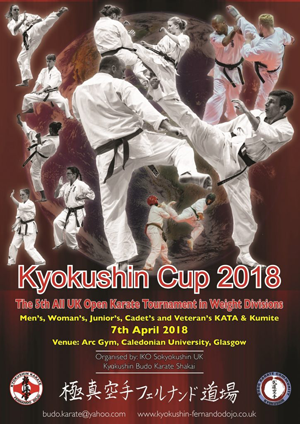 The same year the International Karate Organisation was born and spread to over 140 countries with eventually over 15 million members to become the largest Karate organisation in the world.When he died years later he was considered the only ‘fighter’ in modern times who was never defeated. He even fought 300 people over 3 days and would have continued if more people could be found to fight against him. Sadly, in 1994 Sosai died from illness at the age of 70. He was highly admired and respected all over the world as well as in Japan. His legacy will always live on.